Foam From Above: Nerf NEWS: Fortnite X Nerf! AR-L blaster announced! Nerf NEWS: Fortnite X Nerf! AR-L blaster announced! When it comes to creating epic Fortnite battles in real life, it’s NERF OR NOTHIN’! 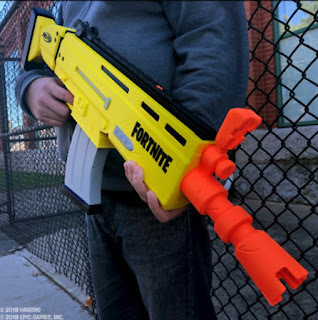 Inspired by the iconic weapon used in the popular Fortnite video game, the NERF FORTNITE AR-L blaster boasts rapid-fire motorized blasting and flip-up sights that allow players to focus their aim as they eliminate opponents and attempt to survive the “Storm.” The NERF FORTNITE AR-L blaster features a 10-dart clip and comes with 20 ELITE darts, so Fortnite fans can play with power and precision no matter where the battle is building. Requires 4 AA Batteries, not included. Available June 1, 2019 at most major toy retailers nationwide and on HasbroToyShop.com." 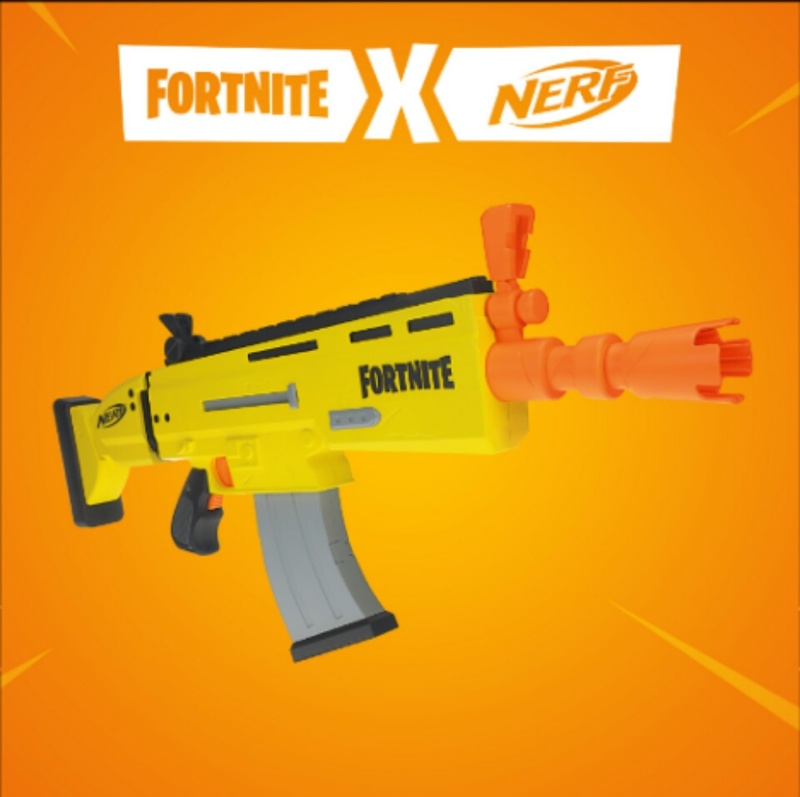 Info released earlier today on Fortnite blasters from Nerf. When first reports came out, I thought (maybe hoped a little) that Nerf would use their new Nerf Laser Ops Pro as the basis. Not the case, as they went with Elite. It makes sense, since Nerf Rival gets Overwatch that the other big license goes to the standard. If the current slew of Fortnite themed parties, games, and arena events is any indication, kids and Twitch streamers will love it and the rest that comes out. Darn shame these won't be out until June 2019. Licensed blasters! That (should) perform on par with the usual! And yes, this blaster is semiauto (like a Nerf Stryfe) and supposed to accommodate current Nerf magazines. Keep your eyes open, and Drop In.